One thing probably set the stage more than any other for Nashville’s recent success. And it’s probably not what you think. 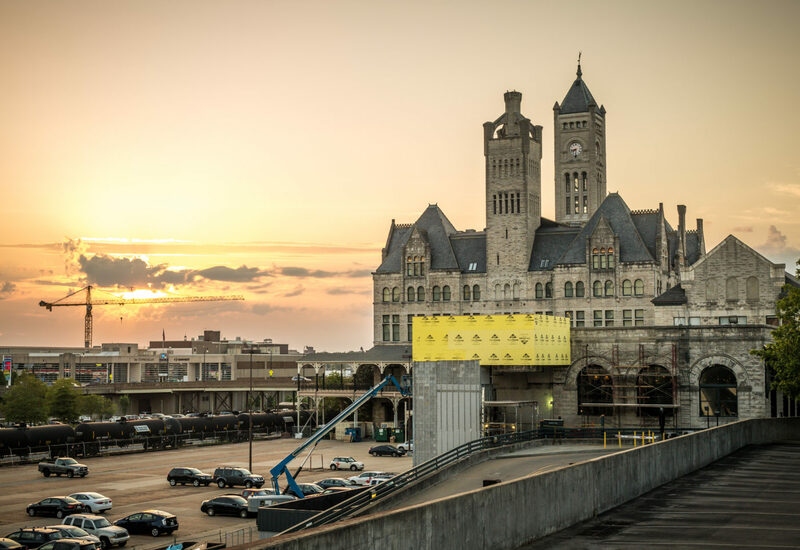 The creation of Metro government more than 50 years ago – the merging of Nashville and Davidson County’s two governments into one – busted down the barriers that often keep cities from going as far as they could. It means we’re all in this together. Our urban, suburban and rural areas are all parts of one whole, which is even greater than the sum of those parts. Without Metro, there might be no pro football team. The skyline probably wouldn’t look the same, and Nashville probably wouldn’t be growing as fast as it is now. Corporations looking to do business here only need to work with one mayor, one legislative body (though it does have 40 members) and one set of government agencies. James Weaver, an attorney and lobbyist for numerous real estate developers and other companies, including the city’s pro sports teams, says new clients who aren’t that familiar with Nashville often say, “Tell me about your governments” – plural. Another big deal: Nashville’s mayor and council members are elected on a nonpartisan basis. There are no Democrats or Republicans on the ballot, which takes at least one thick layer out of the political atmosphere. But there’s a lot more behind Nashville’s modern-day story: two centuries of genius, hardship, vision, risk and, of course, music. 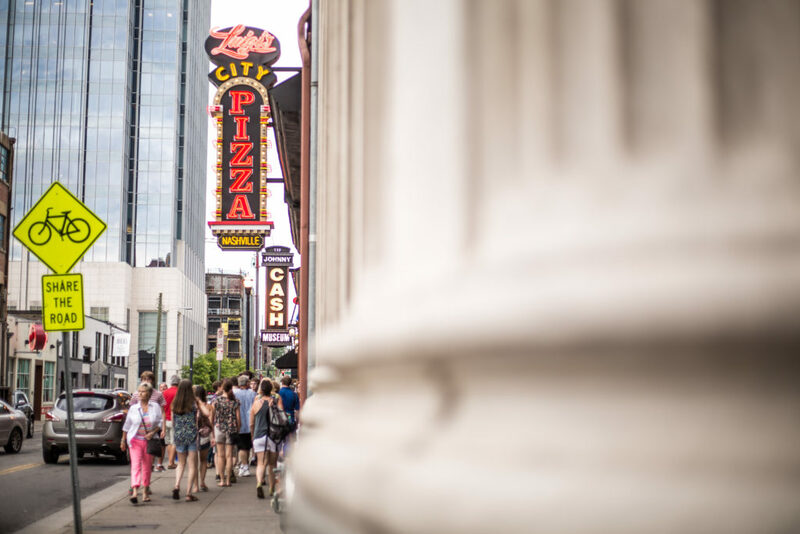 While Native Americans and fur traders had inhabited the area in earlier times, Nashville’s history as a city really begins in 1779. After walking some 500 miles through Kentucky, a party led by Englishman James Robertson arrived here that Christmas Eve, coming down what is now Main Street in East Nashville to the Cumberland River. Robertson and eight other men had scouted the area a year earlier and, drawn to the bluffs above the river, had decided to return and make a permanent home. Another party, led by John Donelson, got here on flatboats the following April. Within a week, about 250 settlers had signed the Cumberland Compact, creating a representative form of government for their fledgling community. The Robertson party named its sheltering site Fort Nashborough for General Francis Nash of North Carolina. Tennessee’s founding was still more than 15 years away. The settlement was renamed Nashville in 1784. Four years later, a young lawyer named Andrew Jackson moved to the city and began boarding at the home of John Donelson’s widow, Rachel, whose daughter he would later marry. Over the next half-century, Jackson bought property that became known as The Hermitage; served as a U.S. senator, judge and major general; cemented his legend with his heroism at the Battle of New Orleans, and was elected the seventh president of the United States, serving two vigorous, bloody and controversial terms. Jackson’s election raised the profile of Nashville and Tennessee, because “no one else outside of Virginia or Massachusetts could say they elected a president,” local historian David Ewing says. Twenty-five years after Jackson left office, Nashville was the first confederate state capital overtaken in the Civil War. But the ease with which Union troops took control turned out to be a blessing for the city. Less than a year after the war ended, Fisk School opened for freed slaves. It was renamed Fisk University in 1867. Four years later, a group of students began what would become a trans-Atlantic concert tour to raise money to keep the institution afloat. They succeeded, and tiny but resilient Fisk, after overcoming many more challenges, celebrated its 150th birthday in 2016 as Nashville’s oldest surviving university. While the Jubilee Singers were still singing for Fisk’s survival in Europe in 1873, one of America’s wealthiest men was giving $1 million to start another university. Commodore Cornelius Vanderbilt, who had amassed his fortune in shipping and railroads, was a New Yorker with little, if any, connection to Nashville. But when a Methodist bishop who was related to his second wife told him about a plan for a university that would try to bring together all parts of the country, Vanderbilt signed on and made the only major gift of his lifetime. The city’s most tangible connection to Greece, however, is not on any college campus. A full-scale concrete replica of the Parthenon – originally made of plaster and wood – stands in Centennial Park, the site of the 1897 Tennessee Centennial Exposition. The state’s actual centennial was in 1896, yet no one seemed to mind. The event drew 1.8 million people over six months, including President William McKinley, several members of his Cabinet and his traveling press corps. But if anyone thought Nashville was getting famous, it was only because they had no way of knowing what was coming in the 20th century. 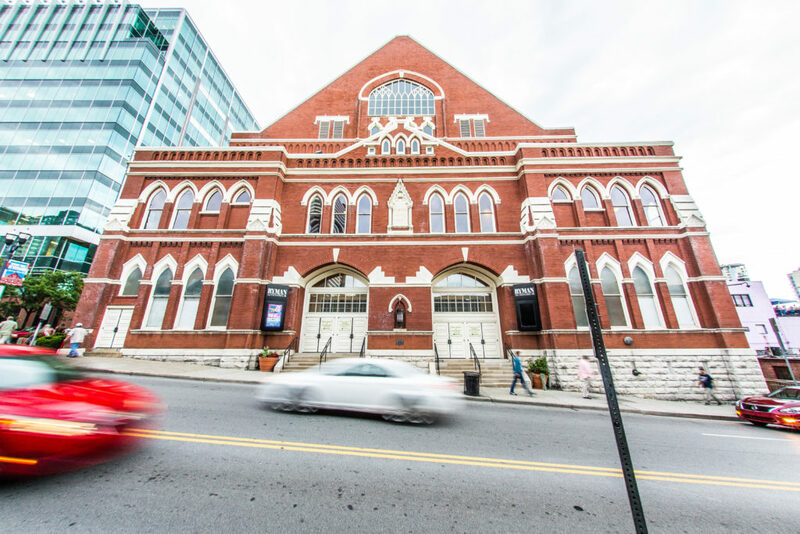 From humble beginnings to gold records, the Country Music Hall of Fame and Museum traces the careers of the genre’s best. The museum brought in more than 1 million visitors for the first time in 2015. Meanwhile, a competing insurance company, Life and Casualty, started its own station, WLAC, in 1926. It eventually became a powerful, 50,000-watt broadcaster of rhythm and blues, especially late at night, when its signal was so clear. By the end of 1928, WSM had been granted a monopoly on the 650 kilohertz signal – a “clear channel” that gave National Life and Accident vast reach across the heartland. Country music – what Cooper calls “a collision in the American South of the fiddle from the British Isles and the banjo from Africa” – was a hit, and more than 90 years later, the Grand Ole Opry is going strong. You can go see it in person, or you can listen on 650 AM WSM or wsmonline.com. The national exposure provided by WSM gradually drew musicians, songwriters, music publishers and recording studios to Nashville. In 1954, brothers Owen and Harold Bradley purchased a house at 804 16th Avenue South and converted its basement into a recording studio. The next year, the Bradleys moved the studio operation into a Quonset hut they’d affixed to the house, and that hut became Nashville’s first recording center. RCA followed with a studio of its own in 1957, and soon Music Row – essentially a one-mile stretch of 16th and 17th avenues – was the humming, strumming heart of Nashville’s music industry. 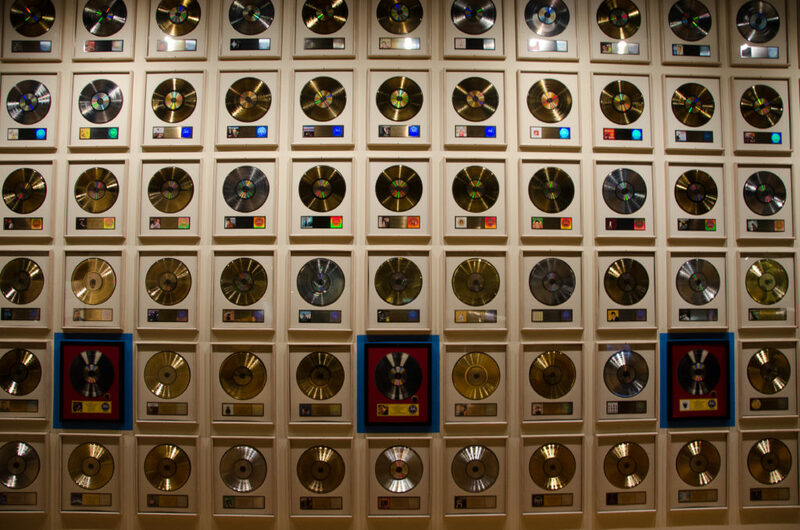 Elvis Presley, Dolly Parton, Bob Dylan, Patsy Cline, Garth Brooks, Neil Young and thousands more have recorded in studios along Music Row, and the music business has long been Nashville’s biggest claim to fame. As the music industry was putting down roots just up the hill southwest of downtown, a group of government officials and attorneys was aiming to break ground in another arena. These activists believed the split between city and county governments left Nashville and Davidson County ill-equipped to manage the rapid growth that had begun at the end of World War II. But their first attempt to consolidate the city and county governments fell short in a 1958 referendum. Change was afoot in other ways, too. In the fall of 1959, mostly African-American college students and ministers began strategizing and training to protest the segregated lunch counters in Nashville’s downtown stores. They started sitting in on February 13, 1960, using the extraordinary discipline of nonviolent action to expose the injustice at work. On April 19, they forced a meeting on the courthouse steps with Mayor Ben West, who admitted under persistent questioning from Fisk University student Diane Nash that segregation was morally wrong. 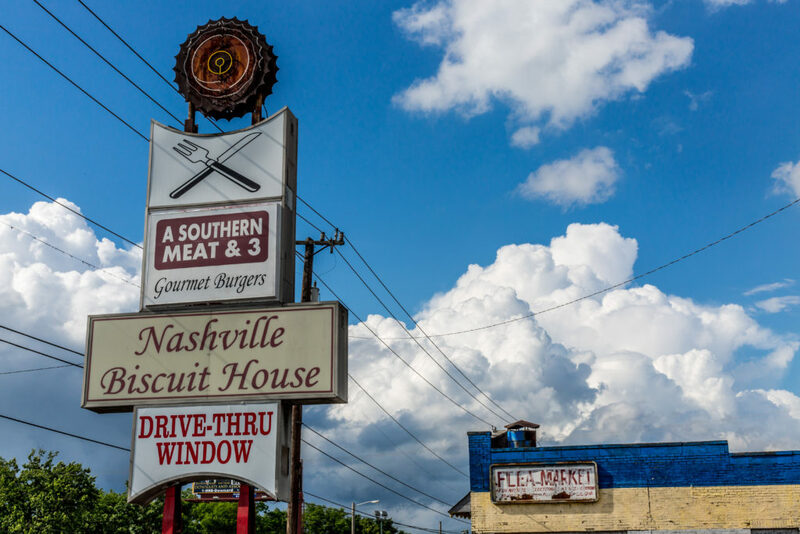 Nashville soon became the first city in the South to desegregate its lunch counters. Congressman John Lewis of Atlanta, who went on to participate in the Freedom Rides, speak at the March on Washington and lead the Selma-to-Montgomery March, often paying a bloody price for his courageous acts, got his start as an activist here. Nashville also changed and grew as a result of Mayor West’s response, which made the community more open and tolerant. The city is still reaping the benefits of that openness today. The men and women who had unsuccessfully pushed the idea of consolidated government didn’t give up. In 1962 they got a second referendum on the ballot, and they worked much harder to persuade voters than they had in 1958. Based in the Stahlman Building just across from the courthouse, two full-time employees “organized the campaign at the precinct level,” attorney George Cate Jr., who chaired the group, said 50 years later. This time they won, making Nashville the first place in the United States to achieve true city-county consolidation into one government. It showed we can do special things in Nashville. It showed we want to do everything we can to succeed. It showed we’re committed to the future. Beverly Briley, who had led the county government, was elected the first mayor after consolidation was approved. Briley, Vice Mayor George Cate Jr. and the 40-member Metro Council took office on April 1, 1963. A few years later, Metro voters took another important step by legalizing the sale of liquor by the drink, which opened the hospitality industry up to new opportunities. After Briley’s third term, Congressman Richard Fulton was elected mayor in 1975. Fulton was a Southern liberal who had taken courageous stands to vote for the Civil Rights Act of 1964, the Voting Rights Act of 1965 and the Fair Housing Act. As mayor, Fulton built Riverfront Park and a downtown convention center while also working to revive Second Avenue and Rutledge Hill. During those years, Nashville also was blessed with a new performing arts facility, a private, nonprofit operation built on state land. Told that the “city fathers” had turned down some land they had been offered in the MetroCenter development northwest of downtown, Ingram “asked if the city mothers could have a shot at it.” The property owner, Victor Johnson, agreed. Ingram went to see Mayor Briley, but he was focused on extending sewer service and building interstate access ramps. Then she approached the new governor, Winfield Dunn, who said the facility would have to be downtown if the state were to participate. A light bulb clicked on for Ingram. But Ingram’s work wasn’t over. Governor Dunn said she and the other women who wanted a new performing arts facility would need to raise approximately $3 million for the programming. The other women weren’t interested in doing what that would take, so Ingram, now chairman emerita of Ingram Industries Inc., traveled the state. She was naïve about politics – told she should hire a lobbyist, she asked, “Is that legal?” – but she was willing to work. She wound up raising $5 million, and the Tennessee Performing Arts Center opened in 1980 at Sixth Avenue North and Deaderick Street. 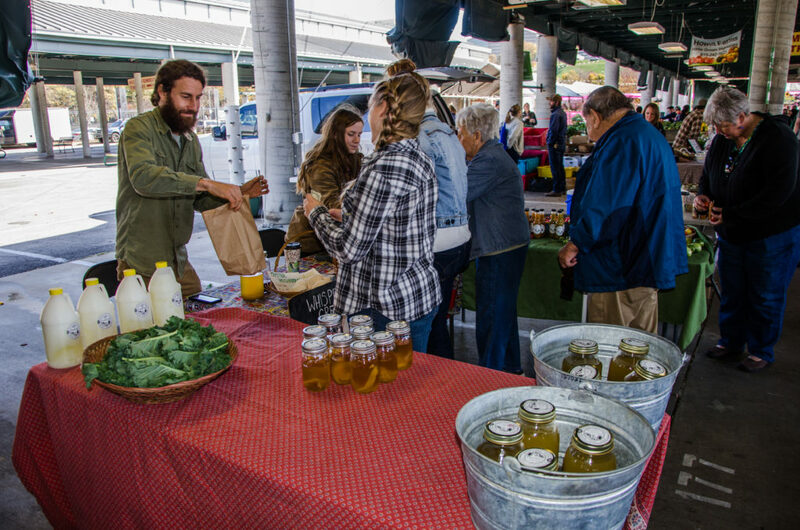 With its mix of locally grown foods in the outdoor sheds and eclectic restaurants and shops in the indoor Market House, the Nashville Farmers’ Market is a fun place to go on weekdays and weekends. At the end of the 1980s, Nashville’s economy fell off track. In “Fortunes, Fiddles & Fried Chicken: A Nashville Business History,” Bill Carey writes that developers thought Nashville would become the “next Atlanta” after Nissan and General Motors brought auto manufacturing to Middle Tennessee and American Airlines established a hub at Nashville International Airport. They “built too much too fast” and watched the boom go bust. Growth had gotten out of control, and a glut of real estate speculation and overbuilding was exacting a heavy price, The Wall Street Journal reported in February 1989. Jobs were down in construction, manufacturing and other sectors. They responded in the early 1990s with Partnership 2000, a partnership between the business community and local governments that would work to boost job creation through company relocations or expansions in a 10-county area. Leaders would market the city’s strengths to existing and prospective businesses. But they had no way of knowing just how many strengths they’d have to work with by the time the year 2000 actually rolled around.